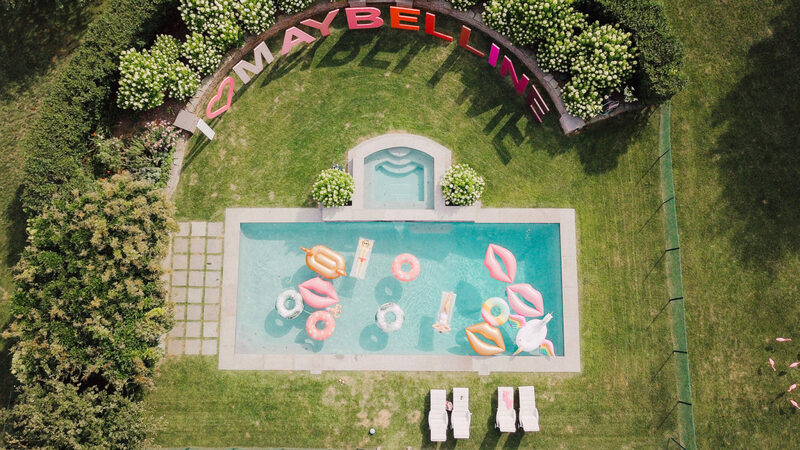 Sharing some pictures from my pool day with Maybelline today! I wore this cute stripe swimsuit from Nordstrom. It’s under $50 for the bottom and the top! I love it but size up if you get it because mine is too small! I got tanning stuff on it when I was trying it on for the first time so I couldn’t return it or I would have gotten a bigger size. The stripes and colors on this suit are so cute! I linked some other cute striped suits above. I will also link my sunglasses here. I have this same pair in black, but I lost them so Parker was super sweet and bought me a new pair in the same black color and I lost those TOO! I have looked everywhere I don’t know where they could be… I will continue my search and let you guys know if I find them! Next Post New Favorite Denim! I just watched the vlog tonight and I love it!! The photos are gorgeous too! I seriously always looks forward to your blog posts so I can see all of your cute aesthetically pleasing photos! I love this bikini. Also I had no idea yellow watermelon was a thing! haha! So cute! I love your style & these photos are beautiful! Also, since I randomly did a bit of research on QWERTY keyboards a few years back: when typing first took off in the 1860s with typewriters, there were a few different layouts of keyboards. I remember learning that the QWERTY style was marketable bc typewriter salespeople could write “TYPEWRITER QUOTE” using only the top line! I think the layout generally stuck because consumers got used to it, despite more ergonomic or efficient layouts coming out later (particularly once personal computers became a thing). You may have seen the Dvorak layout too! But it’s kind of funny that the style just stuck because people got used to it & now it’s influenced everything with a keyboard, even smartphones (which you only really use two fingers for)! I love that swimsuit so much! I need it!! I have had yellow watermelon and it was amazing! Your vlog and photos are amazing too from this trip!! I always love your posts! You should do a skincare routine and a eye brow routine like how you wax and cut them yourself! Lovely snaps Aspyn! 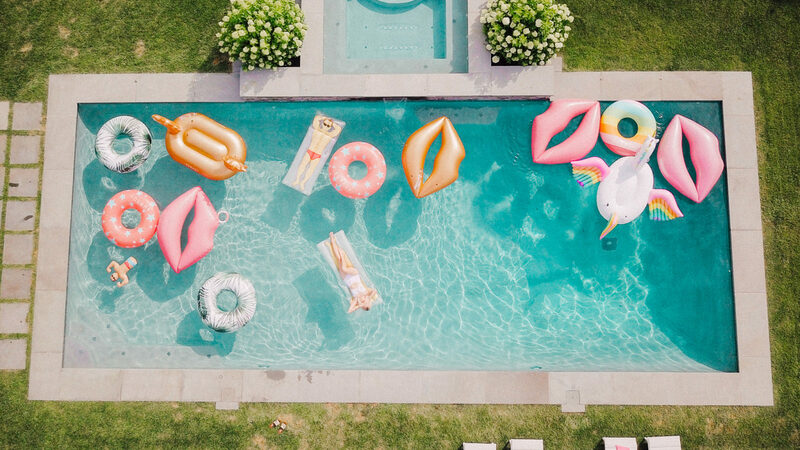 It looks like you had such a fab time in The Hamptons! The stripe swimsuit is so cute! After watching your blog with Lauren where you tried the yellow watermelon I have been trying to find it, I need to try it! 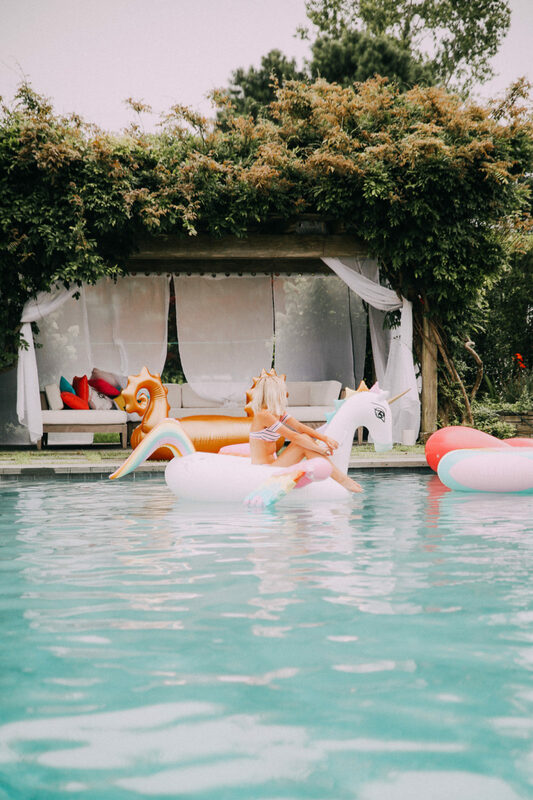 This looks like such a dreamy trip! And your swimsuit is gorgeous. 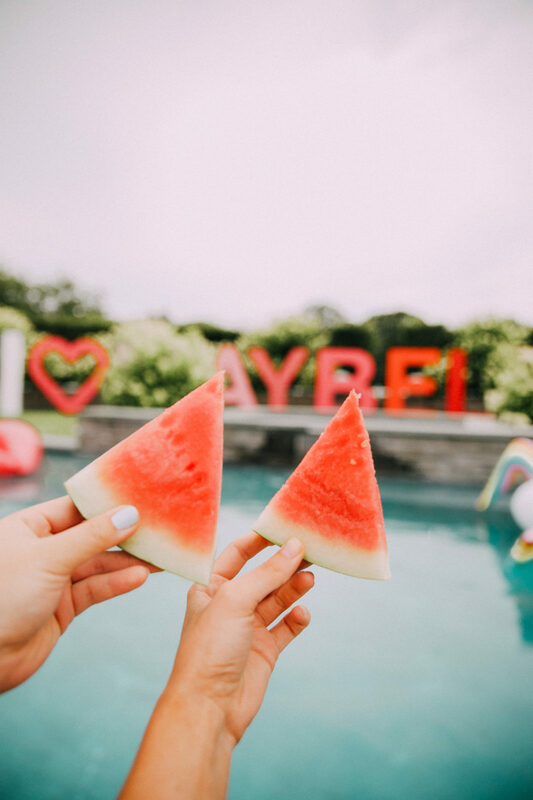 This suit looks adorable on you, Aspyn! Gorgeous pictures! I always look forward to your posts and vlogs! I can’t wait to see where you’ll go next! Im obessed with your photos!! keep it up <3 they are so nice to see always! Cute swim suit! I want to try an off-the-shoulder top like this!